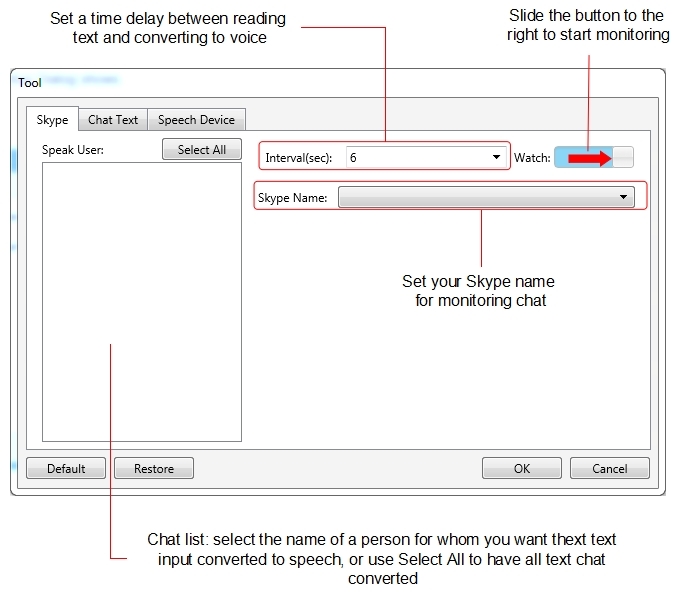 The Skype Tab allows you to convert Skype text chat to the spoken word, although Yuzuru notes that as Idobata 2 does not use the Skype API, this option is subject to being impacted by changes made to Skype. It is currently compatible with Skype 7.0.60. 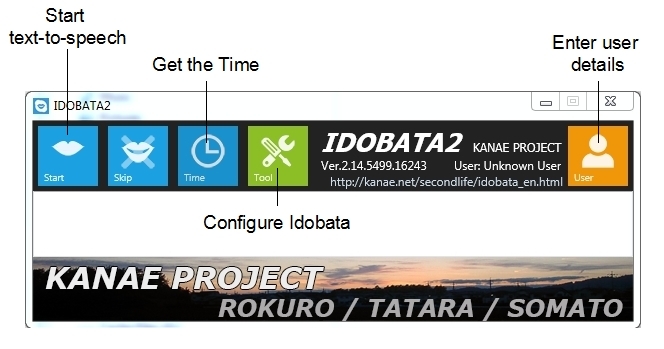 Set a time interval between Idobata 2 given time checks in your local time. Providing everything is set correctly, Idobata should immediately go to work, and in SL, you should see / hear local chat being played back. Should you need to adjust any settings, simply click the Stop button and then the Tool button to display the configuration button once more. and make your changes. When done, click Start to resume monitoring. As I noted in my original review, Idobata as a potential useful tool, particularly if you find yourself often multi-tasking and working on windows other than the SL viewer, as it allows you to keep track of conversations in text without having to be looking at the viewer window. Idobata now extends this through support for IMs an group chat. 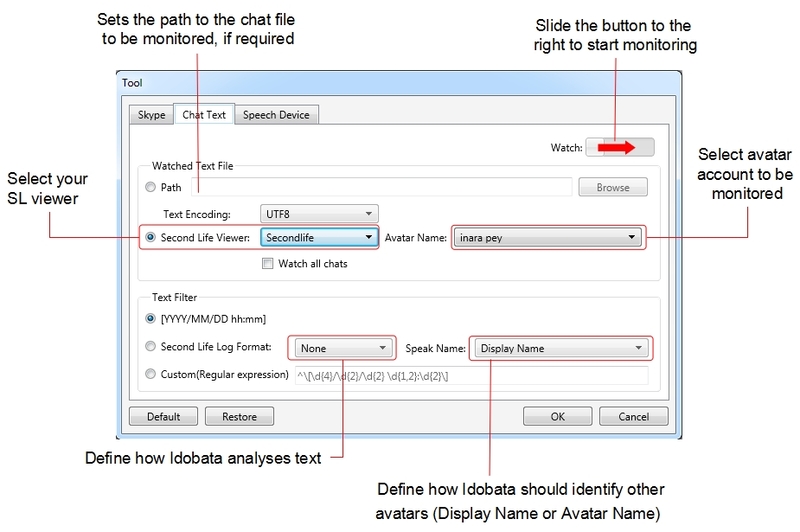 In addition, its smaller footprint and the addition of the text output area means it possible to park Idobata 2 above or below the window of another application when working away from SL, and to both listen to chat, and keep an eye on it in Idobata’s window. The application is still unable to differentiate between avatar-generated text and object-generated text, so if you’re in a location with chatty, spammy objects, things can still get a tad irritating, but not sufficiently enough to prevent usage. As I’m not a Skype user, I’ve not actively tested it with that application, but for SL Idobata 2 takes what was a handy little application and makes it even handier to use and, with the revised configuration window and new front-end window make it a lot more user-friendly and less confusing in its presentation. All told, a great update to an handy application. As noted, Idobata 2 will be available from Tuesday, January 27th via Yuzuru’s Kanae Projects website, and is free-of-charge. Content creators might also be interested in some of Yuzuru’s other tools for mesh, texture and sculpty manipulation / creation, some of which I’ve reviewed in these pages under the Kanae Project tab. Apologies if I missed it, but does this also work the other way around? It would be fantastic to be able to talk at your computer and see it converted into SL public chat. Especially handy when using the Oculus Rift. Nope. Purely text-to-voice using the MS Runtime tools. I released IDOBATA2. Please check it. Thank you for your information. I will add this to my web site.